During these uncertain times, what people need most is a good laugh. Imagine what would happen if they understood that there is an untapped force, contained within them, that has the power to totally change their lives. And what if they discovered, all they had to do in order to unlock this secret, is simply to start using it? So it is with humor. The Sense of Humor is designed to demonstrate the sense that humor can make in the life of anyone who is willing to use it. The basic premise of The Sense of Humor is this: Humor and a sense of humor are unique gifts from God intended for people to enjoy a more positive life, while at the same time, brightening the corner where they are. In other words, humor will deliver direct benefits to the user. Outside of this primary benefit, humor will touch the lives of everyone around the user in positive ways. The manuscript for this book is already written. People in the medical field and in education have been interviewed. Research from authorities on the subject of humor and its benefits are cited. Each person arrives at the same understanding. Including humor in all facets of our lives will improve our lives. This is most dramatic in medicine. We cite scientific studies and their findings to reveal that humor aids in the healing process. And, a personal sense of humor helps combat stress and depression. Health: A scientific study took 20 medical students, and sat them down to watch a 45-minute stand-up comedian on video. Blood samples were taken every two hours over the span of forty-eight hours. The study found a dramatic increase in the activation of white blood cells in the participants’ systems. These are the cells that fight disease. Researchers also found an increase in MK cells. These are the natural killers that attack cancer cells. Additional physiological benefits were also revealed in the study. The major finding was that these elevations were not simply present at the time that their subjects were laughing, but up to thirty-six hours after a single forty-five minute laughter session. Education: Educators tell us that laughter encourages learning. Humor leads to an increase in attention span and it can help both the students and the teacher. Business: In business, one of the primary traits that the human resources department looks for is a healthy sense of humor in job applicants. People without a sense of humor aren’t expected to go far. Ministry: Humor can be used for more effective ministry. Parents, especially with teenagers, will find this book valuable for this reason alone. Other books have been written about humor, but nothing exists, to my knowledge, attributing humor as a God-given gift to make life better. The Sense of Humor cuts across social, economic, ethnic, and educational barriers. It has been said that music is a universal language. So, too, laughter. Beyond research and interview findings, this book contains a second major component. I’ve poured over thousands of jokes and funny stories, selecting only the best that are currently circulating in the popular culture today. These have been arranged and grouped under the major chapter headings of the book. In this way a teacher can easily find humor specifically devoted to education. Medical personnel can locate humor about health and medicine, and so on. The information found in the pages of The Sense of Humor does not exist anywhere, in total, for the Christian reader. Even though the book is slanted toward this audience, it has crossover potential because the principles work no matter who you are. A problem I discovered is that the New Age movement is already incorporating many of humor’s principles, combining humor into their breathing and yoga exercises. Most of the laughter clubs, already established, include New Age components. But wait a minute. If we believe that humor is a gift, given to us by God, then it is our responsibility to disseminate this truth to Christians. Their lives, those around them, and the population in general will be all the better for it. 2. Is Laughter Really the Best Medicine? 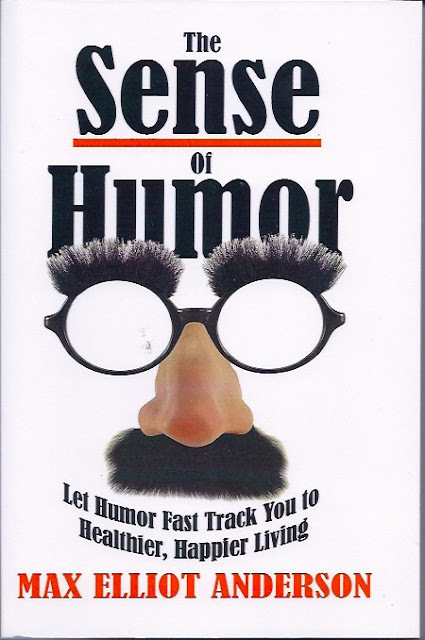 The second part of The Sense of Humor contains jokes and humorous stories gleaned from years of sifting through over 10,000 jokes. These have been distilled to some of the best humor currently available, and arranged by subject matter according to the major chapter headings. Here the discovery of humor begins. The use of humor is tracked from Asia, through Europe, Scandinavia, and to the United States. The premise of humor as a special gift from God is stated and the word laughology is coined. Experts are quoted and some of their findings presented. An interview with a general practitioner physician, and a dentist, set up the overall health benefits found in the use of humor. A five-year study from UCLA is explored as well as another from Connecticut State University. Then the reader’s appetite is whetted for what remains to be discovered within the following pages. Chapter 2. Is laughter Really The Best medicine? Here we find perhaps the most startling information. Humor and laughter can actually help speed up the healing process. The Film, “Patch Adams” alerted the general population to the health benefits found through humor. Humor is the best way to fight against stress and depression. We may not have control over what happens to us but we can control our reactions. It is in this area where a healthy sense of humor is most useful. The New England Journal of Medicine estimates that 85% of all human illnesses are curable by the body’s own healing system. Recent data suggests that the more positive input we can include in our lives, the more we are supporting our body’s ability to tap into its natural healing process. My interview with a dentist brings out some of the most fascinating information in this chapter as he profiles some of the typical patients he sees and how he can rate their sense of humor. He has learned that this will have a direct bearing on the care he can give. Additional extensive medical findings are discussed in the chapter as well. This chapter is devoted to the benefits of humor within the family. I talk much in this chapter from personal experience. Both growing up in a family of seven children, and later, raising my own son and daughter to adulthood. The chapter is also instructive as it suggests ways to deal with a headstrong younger child or the unique problems that arise while living in the same house with teenagers. But no matter what problems a parent might encounter, laughter is not only a common denominator amongst all people, it can be used to defuse some particularly difficult situations within the family. Information in this chapter is also instructional and how-to. It may provide real hope to struggling parents. This chapter explores the various forms of humor including slapstick, deadpan, verbal comedy, screwball, dark, parody, and spoofing. What we laugh at tells us a great deal about ourselves. Again, I bring in personal experiences while also citing the opinions of experts on this subject. Some of our appreciation of, and participation in, laughter are both cultural and regional. However, television, radio, and films have helped to make much of the humor in our country, universal. Ethnic humor is tastefully discussed along with the practical joke. Understanding why we laugh and what we laugh at leads to a better understanding of who we are. In some cases this understanding will lead to changes in how we relate to the people around us. I found in my interviews that humor is often absent from most students’ educational experiences. At the same time, when used in teaching, humor promotes better retention, better understanding, along with more attentiveness and alertness. 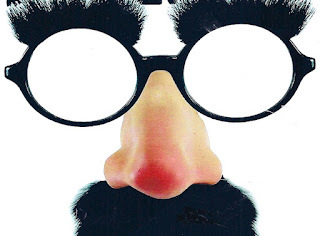 Teachers who are not yet using humor with their own students will discover how to become better teachers, while making the classroom experience more enjoyable. They will also be promoting increased learning and retention of information. A national employment agency found that more than 90% of executives from some of the largest corporations in the United States responded, having a sense of humor is a key ingredient in career advancement. Real world examples are explored to show how humor is already being used successfully in the workplace. The chapter is also instructive in showing people how to properly inject humor into the places where they work. Additionally, humor at work will reduce conflicts and tension, promote teamwork, and prevent burnout. This chapter further explores relationship in the context of family and friends. A sense of humor is one of the foremost qualities that people identify as attractive in others and equally important in their relationships. The issue of lifetime compatibility can be confirmed or rejected by the mutual enjoyment of humor during the dating and courtship period. A fiancée who is abusive or cutting in his or her humor will not likely alter that behavior toward their mate in the future. Understanding humor in relationships, while selecting a mate, will help people avoid a life of pain in marriage, friendships, and families. While it is true that there isn’t one joke in the Bible, Jesus did use wit and satire. This chapter goes inside a local church where humor is used effectively from the pulpit. We dig deeper by illustrating how a typical Sunday school class incorporates humor. In this particular case, other classes have begun looking for ways that they, too, might model this positive pattern of learning and sharing. The name Isaac, born to the aged Abraham and Sarah, is Hebrew for “laughter.” Even in this example we believe God demonstrates a sense of humor as these two people contemplate becoming parents at such an advanced age. And what else could scripture mean when it says in proverbs 17:22, “A merry heart doeth good like a medicine,” if not a direct reference to humor? Earlier we mentioned how, even within the United States, humor varies culturally and regionally. This chapter looks at the vast differences of humor in other countries. Though laughter may be a universal language, the appreciation of humor varies from country to country. Examples are cited from Russia, Czechoslovakia, China, Sweden, and Japan. Humor can have a dark side and people can be hurt by the mean-spirited use of humor. If humor is a gift from God, then it stands to reason that a dirty joke or foul humor is the antithesis of what He had in mind. Humor can also be used negatively to cut another person down using sarcasm. Ethnic humor, when used to denigrate a people, should be avoided as well. Readers will be encouraged to explore their funny side. 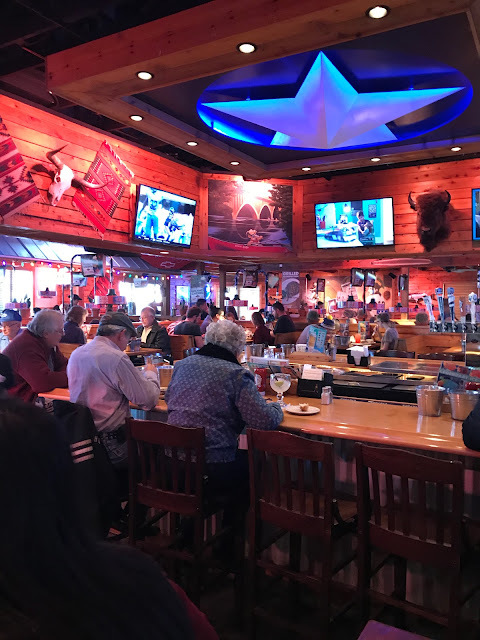 Along with this, specific instructions will help people develop a more comfortable feeling concerning their ability to tell a joke and relate humorous stories with confidence. 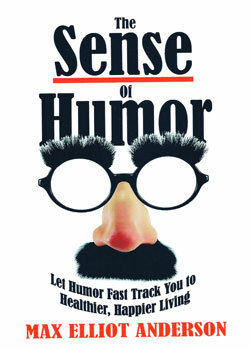 Over 200 pages of humor, jokes, and funny stories comprise the second part of The Sense of Humor. These are divided into the major subject headings related to most of the chapter material. Humor related to medicine and health is separated into that category so people in the field of healthcare can easily find humor that pertains to medicine. The same is true for educational humor, ministry humor, and so on. All remaining humor material, that doesn’t fit a specific chapter heading, is located in a miscellaneous section. There is also a vintage humor section. With the passing of former president George H. W. Bush, I wanted to revisit something that happened in late 2013 when I entered a letter writing contest about the importance of reading in America. I had grown up hating to read, now write adventures and mysteries for readers 8 - 13, and my letter was about that process. Two letters were chosen from each state, and mine was one of those honored in Illinois. 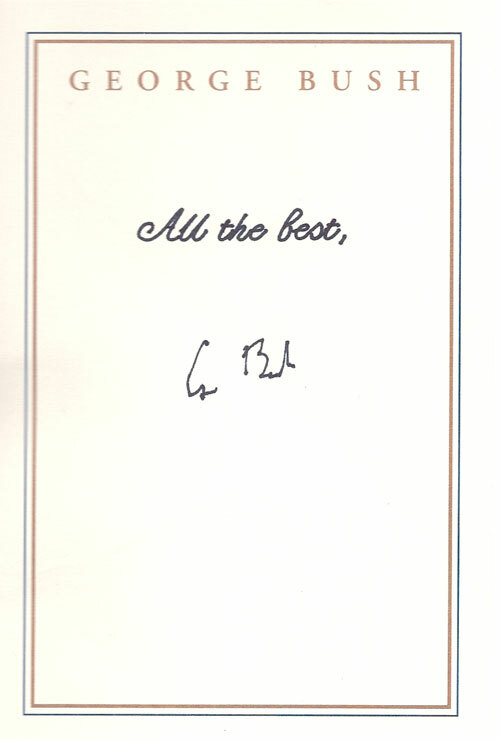 The prize was a signed copy of President Bush's book and a pair of "crazy" socks - he was famous for those. But I found his signature to be the most special. That's because the president had been in failing health. 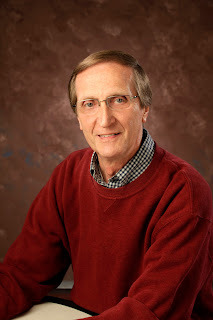 You see, my dad had Parkinson's, and toward the end of his life, it became very difficult for him to sign his books. Still he did the best he could. Here's more information about the contest and the foundation behind it. The Barbara Bush Foundation for Family Literacy announced the winners in a national letter writing contest, highlighting the beneficial connection between reading and writing abilities. Two letters from each state were selected. Max Elliot Anderson, of Rockford, Illinois, is one of the winners for the State of Illinois. The "Devotedly, Dad" contest was open to America's dads and granddads to encourage a love of literacy in their own families. 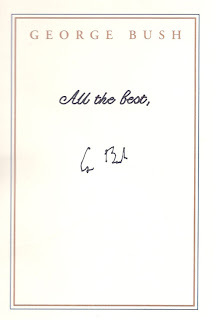 Winners received a copy of All the Best, My Life in Letters and Other Writings, personally signed by President George H.W. Bush, plus a pair of his favorite and fun First Family socks. "The art of letter writing certainly hasn't been lost on my dad. For decades, he has been a prolific writer, penning notes, letters and emails to his colleagues, friends and family," said Jeb Bush, Foundation co-chair. "Of course, the personal letters written to my brothers, sister and me happen to be my favorite…always signed…Devotedly, Dad"
The contest coincided with the release of President George H.W. 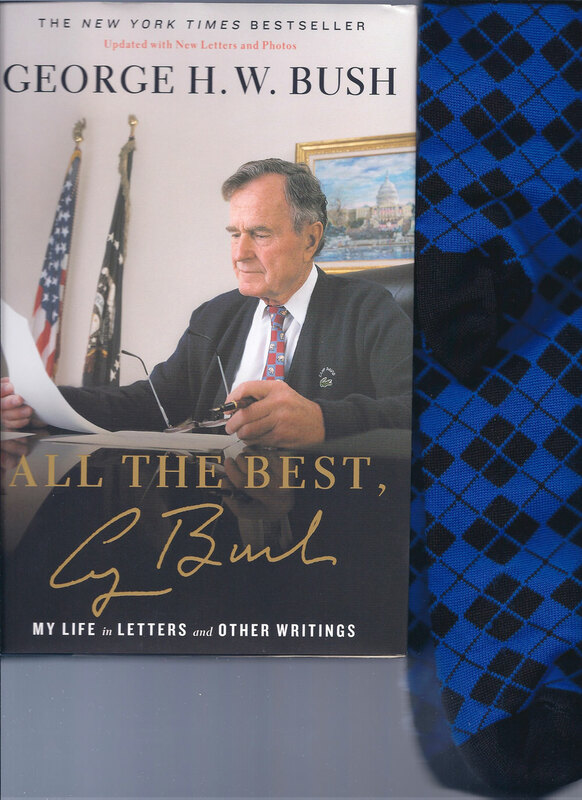 Bush's new edition of All the Best, My Life in Letters and Other Writings, which includes 100 additional pages of photos, diary entries and letters. Again this year, Texas Roadhouse provided free lunches to veterans for Veterans Day. Much appreciated, thank you! Received this distinct honor today. I've been included in several of the Who's Who volumes including Who's Who in America. 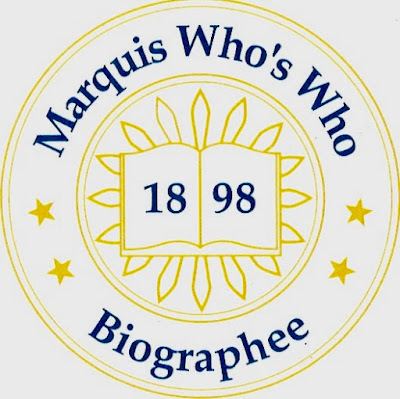 It's your Anniversary as a Marquis Who's Who Biographee! Since 1898, Marquis has remained dedicated to celebrating the individuals who define the highest standards of success and achievement. In addition to our cherished publications, we strive to continually enhance the personal branding needs of our individual listees. On this special occasion, we wanted to present you with a small anniversary gift. 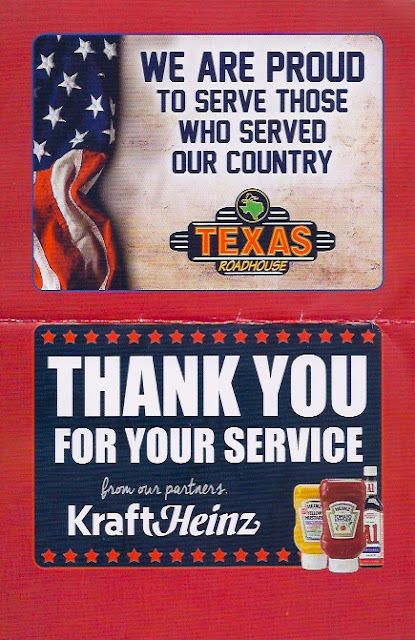 It's our way of showing you our sincere appreciation. This badge can be added to your social media profiles or personal website, letting all of your followers know that you are one of our distinguished listees.